The early signs of pregnancy in a woman are when HCG is detected in the mother’s blood or urine just before she misses her period. It is this hormone that pregnancy tests look for. So, once a woman’s test is positive, then a baby is absolutely on the way! It doesn’t stop there. HCG levels also have something to do with finding out if a woman is pregnant with one baby or multiple babies. This is because the HCG levels for twins are different from that of singletons. HCG or Human Chorionic Gonadotropin is secreted once an egg is fertilized. This hormone regulates the production of progesterone and estrogen until the placenta is fully developed to, later on, assume that role. HCG is produced early on after fertilization and consequent implantation of the zygote (fertilized egg cell) into the wall of the mother’s uterus. HCG nourishes the zygote which will develop into the embryo. This also signals the body to cease menstruation since the lining of the uterus will have to thicken to nurture the growing baby. Even before a woman misses her period, HCG is already produced as early as 11 days after conception. 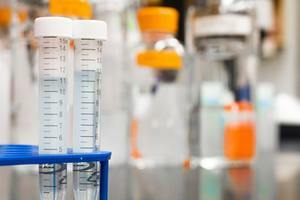 This hormone can now be detected in the blood within 12-14 days once excreted in the urine. 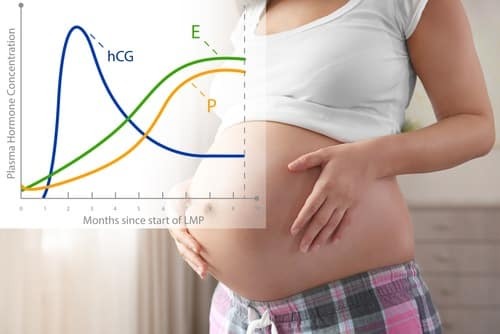 An HCG Level above 25 mIU/ML is considered positive for pregnancy. What does HCG Screening have to do with Multiple Pregnancy? To be clear, a simple home urine pregnancy test is not reliable enough to find out if a woman will be having twins or not. This is because home pregnancy tests simply measure whether there is a minimum amount of HCG present which leads to a positive test result. Going through an HCG level blood pregnancy test is more conclusive to really find out if a mother is going to have twins. For a single baby, HCG level varies from 70 to 750 mIU/mL. When it comes to twins, the normal HCG levels during the early stages of pregnancy is about 30% to 50% higher than in a single pregnancy. This is somewhere around 200 to 1750 mIU/ML. When a woman is pregnant with multiples, HCG levels will be particularly high because of each developing child secrets a normal amount of HCG. The following are the HCG Levels in single and twin pregnancy. According to the American Pregnancy Association, out of 85% of normal pregnancies, the HCG level doubles every 48-72 hours. As the pregnancy progresses, HCG levels get higher. To check the best doubling times for successful twin pregnancies, check out the table here. HCG needs 72-96 hours to develop if it is 1200 – 6,000 mIU/mL serum. If the values are above 6000 mIU/mL, it takes around four or more days to double. The moment the HCG level reaches 1000-2000 mIU/mL, usually a transvaginal ultrasound is done to be able to see the gestational sac. Then growth slows done once levels go beyond 6000 mIU/mL. The HCG levels tend to peak between 8-10 weeks of pregnancy and then it starts declining. This is also one of the reasons why nausea and tiredness, which are usually felt during the first trimester of pregnancy, begin to settle down after the first few months. At around four months of gestation, the placenta is now supporting the embryo and there is no longer need for high HCG levels. What are other reasons why HCG levels for twins are high? There are other reasons why HCG levels are high aside from being pregnant to multiples. If a woman is taking fertility drugs, then HCG levels increase. Another reason that could explain this is that there may be a complication in pregnancy called Molar Pregnancy. Molar Pregnancies are also known as a gestational trophoblastic disease (GTD). This condition is infrequent and is found to happen in only 1 out of 1,000 pregnancies. It is caused by a problem during the time the egg and sperm join together and get fertilized resulting in an abnormality in the placenta. A molar pregnancy can either be a complete molar pregnancy or a partial molar pregnancy. A complete molar pregnancy means that there are placental parts, but no baby. Because the egg is empty, then no baby was formed. A partial molar pregnancy, on the other hand, happens when the mass contains both abnormal cells and the embryo has severe birth defects. If this happens, the fetus will be overcome by the growing abnormal mass quickly. Another case is if only one embryo is developing normally, and the other is a mole, then the healthy embryo will be consumed by the abnormal growth. Women who are over the age of 40 and have had a miscarriage or had a prior molar pregnancy are at risk of molar pregnancy. Symptoms of molar pregnancy include nausea, vomiting, vaginal spotting or bleeding, developing thyroid disease or other rare complications, early preeclampsia, increased HCG levels, and no fetal movement or heartbeat is detected. What if the HCG Levels don’t go up? If the HCG level does not rise during early pregnancy (specifically during the first 8 to 10 weeks) the mother would need to have a repeat blood test. If the analysis shows the same HCG level or has fallen, then it may mean that the pregnancy is not progressing normally. To be sure, doctors would correlate the HCG test result with an ultrasound examination to know for sure. Usually, doctors would expect to see evidence of pregnancy through an ultrasound by the time the HCG level reached about 1,000 to 2,000 IU/L. If a gestational sac is not seen at this stage, then this is a point of concern. If this happens, then consulting with a health professional is urgently needed. Going through a pregnancy with the proper understanding of the HCG Levels for Twins and for singletons has its advantages. It paints a clearer picture of what may be expected and makes any mother stronger and more prepared.